Matt and Steve are bringing you this week's news and updates in Pittsburgh sports. realignment this season in the USL and the Eastern Conference has some new teams. starting at $99 as well as other packages and individual game tickets. Torrey Pines, Tiger makes his first appearance on the Tour. will be in the all star game. Ovechkin sitting out the game and taking a 1 game suspension. Caps Buy week is after the break. catcher depending on who is on the mound as a battery mate such as Musgrove and Archer. as a pirate due to injury. and 0-5 in the big 12. Jamie Dixon and TCU put on a show with a 98-67 win this past Tuesday. It doesn’t get any easier for the eers with a lot of ranked teams coming up in the schedule. the conference as a whole. Keep watching for MLB Trades and signings, with camp coming soon. Keep your eyes pealed for the Super Bowl podcast. Remember to check out our friends at River's Edge (@RiversEdgePGH) - and our stream over there! 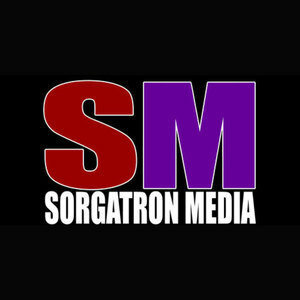 Also, check out BOLDpgh.com and sorgatronmedia.com for more entertainment!